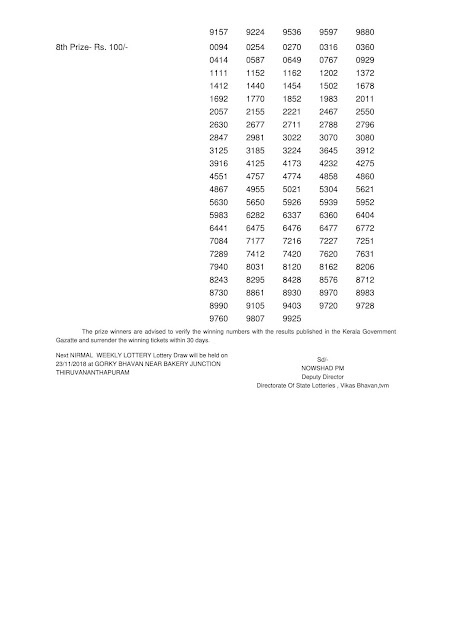 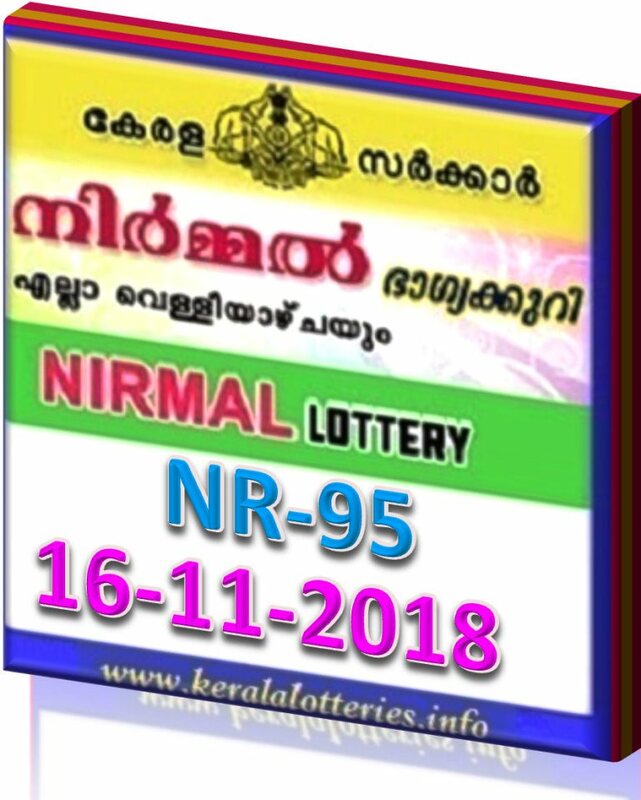 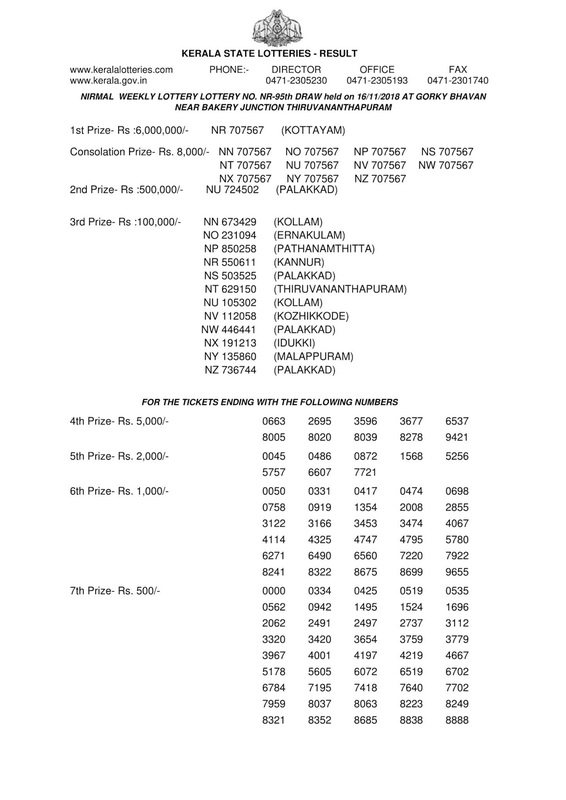 Kerala lottery result of NIRMAL (NR-95) on 16-11-2018 is published below. Nirmal lottery is conducted on Every Friday of the week.Today's live result is to be released from 3 PM and Official Kerala lottery results are published between 4:00 Pm and 4:30 PM. 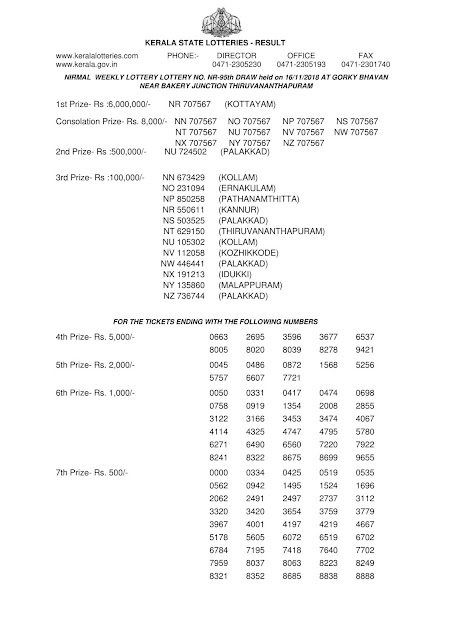 Tomorrow on 17-11-2018 Kerala lottery "KARUNYA (KR-371)" draw at 3:00 PM and the live Kerala lottery result tomorrow will be published from 3:03 PM and Official Kerala lottery result by 3:45 PM.